There are no current course offerings. So Purkh is a mantra that women chant for the men in their lives. It is said that if it is recited 11 times per day for 40 days straight, God will manifest in physical male form for you. It can be chanted to elevate the men in your life, to draw a spiritual mate to you, and to release old karmic patterns or stuckness from unresolved relationships with men. Pranayama (breathing), Kriya (movement), Savasana (relaxation), and 11 recitations of the So Purkh mantra (31 minutes). You will have handouts to take home each week to continue the practices at home if desired. The Kriyas will be specially selected ones for women, and the Gong will be played in Savasana for deep relaxation. In these two workshops you will learn and practice unique pranayama/breath patterns that are useful for shifting mental, emotional, and physiological states that we all encounter (such as anxiety, worry, restlessness, depression, low energy, insomnia, weak metabolism, addictions, dissociation, and self-doubt). These time-tested and effective practices are from the science and technology of Kundalini Yoga as taught by Yogi Bhajan. We will learn the science behind the different effects that are created with breath retentions on the inhale and exhale, breathing through the nose versus through the mouth and alternating on the inhales and exhales, variations in alternate nostril breathing, two/four/eight-stroke breath patterns, and more. We will also practice breath techniques to balance the vayus (winds) and tattvas (elements), adjust the magnetic field, clarify the subtle body, and stimulate the pituitary and pineal glands. After each workshop you will go home with a handout of 6 rarely taught pranayamas after you have explored them with guidance (6 different pranayama techniques will be taught in each workshop). You will then have these time-honoured potent gems to practice as needed, and teach and pass on to friends, family, colleagues, and clients! You will have enough information to discern which breath pattern to use for a particular issue/state that you want to shift, or amplify (for example, increasing energy, sharpening clarity, or detoxifying). In addition, these workshops will begin and end with 20-25 minutes of Gong relaxation with a 32" Symphonic Gong. 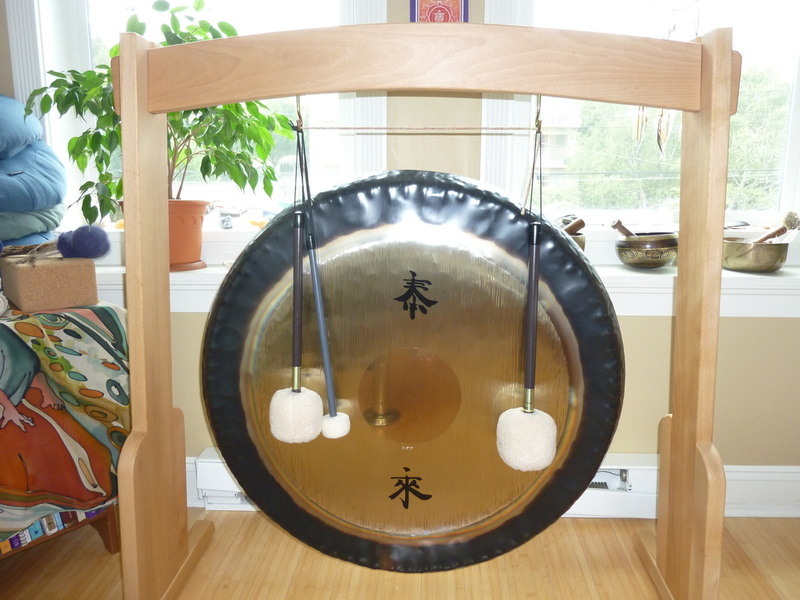 The playing of the Gong is an integral aspect of Kundalini Yoga, It brings the brain-waves to the Theta state which promotes healing, release of subconscious blocks, and increased access to creativity. There will be a 15 minute break in the middle of the workshops, and some occasional gentle movement to keep our energy flowing and to re-calibrate between the pranayamas. No experience is necessary, though a meditation, yoga, or pranayama/breath practice will deepen your experience. We will practice each pranayama for at least 11 minutes so we can experience the effects within the group setting. You are welcome to bring meditation cushions, and there will be chairs available on-site. Please wear comfortable clothes, bring a shawl or meditation blanket for warmth, and eat lightly beforehand (we will start with the gong relaxation so you will still have some time to digest before we practice the pranayamas). You can attend one or both of these workshops - the pranayamas taught will be different for each one. The investment is $45.00 each, or $70.00 for both. Please pre-register here. Dawn Rabey, PhD, Registered Clinical Counsellor (RCC), and Yoga Teacher (E-RYT500) has practiced, studied, and taught Yoga since 1998. She teaches Kundalini Yoga, Meditation, Pranayama, and Mantra regularly in Victoria, BC., and offers Workshops and Retreats locally and internationally. This Workshop is appropriate for those who are new to Kundalini Yoga, or for those who would like a re-fresh on the techniques that are essential to this practice. Kundalini Yoga as taught by Yogi Bhajan is a beautiful science and technology that systematically and safety raises Kundalini - the energy of Awakening. This three hour workshop will include foundational teaching of Kundalini Yoga followed by three powerful Kundalini Yoga practices - including Kriya (movement), Pranayama (breath work), and Mantra (chanting). There will be opportunity for dialog, questions, and sharing throughout. Held in my home in Fernwood, 6 participants maximum, and by pre-registration only. Please register by email or phone, and feel free to contact me with any questions. IKYTA Certified Kundalini Yoga Teacher. Matangi is one of the Dash MahaVidyas (10 Great Wisdom Goddesses) of the Tantric tradition. The Dash MahaVidyas represent the energies of Creation. When we connect with the specific energy of each of the Dash MahaVidyas, we activate these energies within us. Some of the energies we are already awake to and we will feel quite familiar with, while others are dormant and need to be activated/woken up. It is equally necessary to know the Goddess in Her dark forms as in Her light forms, for it is through both that we touch and know our Wholeness. Matangi is the Outcast. She is associated with anything that we see within ourselves and within society as impure, dirty, or left-over. Matangi is the shadow aspect of Saraswati, therefore she is also the Goddess of speech, music, knowledge, and the arts. She is the power of the spoken word, the power of listening and understanding speech and converting it back to knowledge and thought. She governs all expressions of inner thought and knowledge, such as art, music, and dance. In her highest role, she represents Para-Vaikhari - the Supreme Word - manifested through speech that encompasses knowledge of the Divine. She is Matrini - mistress of the sacred mantras. Her dwelling place is in the throat chakra and the tip of the tongue. She is also associated with what is called the Saraswati channel, from the third eye to the tip of the tongue. If you are interested, please join me for an intimate circle (7 participants maximum) to get to know, embody, and feel comfortable with the archetypal energies of Matangi. Sessions will include teachings on Matangi, chanting her Mantra, meditating on her Yantra, group process and sharing, and mandala/yantra drawing. 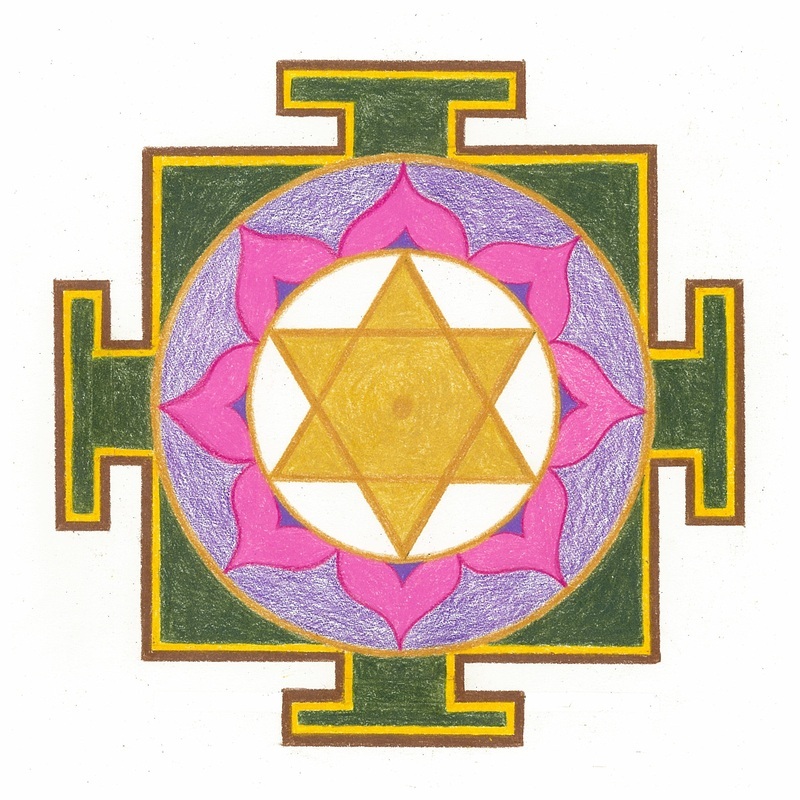 The most effective way to embody the energy of the Goddess is through chanting her Mantra and meditating on her Yantra (the body of the goddess in sacred geometrical form). The New Moon Sadhana starts with the new moon on Oct 23rd, and ends with the new moon on Nov 22nd. We meet in group three times for teachings, sharing, and to deepen the practice. It's recommended that you chant Matangi's mantra and/or meditate on her Yantra daily for the new moon to new moon cycle to deepen into your experience of Her.